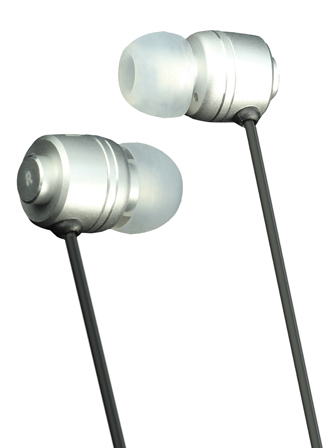 Superb, stylish sound without the background noise - ideal for planes, trains, cars and noisy offices! Strong, alloy housing and super comfortable silicone earbuds provide long-use comfort. Fits standard 3.5mm pin-ready entertainment devices. The high frequency response means you won't miss a beat & the soft silicone ear-buds provide superb sound reproduction whilst reducing the influence of surrounding ambient noise. Comfortable for long periods of use, perfect for plane trips, the morning commute or long hours at the desk. Moshi is renowned for its inventive quality products that expand existing markets and break new ground. 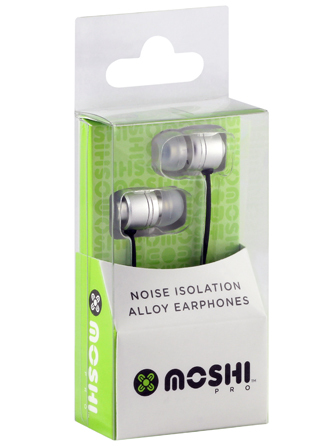 The Moshi range of headphones, speakers and accessories is evolving the way we listen to music. From our original Volume Limited Kids headphone range to Australia’s #1 selling amazing pocket speaker the BassBurger, Moshi is synonymous with quality audio accessories.